Andrew has led Langland’s creative teams for over a decade. His belief that the work must be simple, empathetic and surprising has resulted in a multi-award winning portfolio, widely acknowledged as setting standards for creative excellence in the health and wellness communications sector. After completing a BA in Fine Arts and English at Sydney University, Hugh travelled the world for four years before returning home and winning an AFA (Australian Federation of Advertising) Scholarship at JWT (1990). In 2004 he became Creative Director of Publicis LifeBrands before becoming a founding partner of Ward6 in 2007 which after ten years boasted an enviable client list, collection of awards and offices in Sydney and Singapore. In 2018, Hugh made a homecoming of sorts when his partners and he made a strategic acquisition of McCann Health Australia and he assumed the role of Executive Creative Director. Hugh has won countless awards, including 15 ‘Global’ awards and three ‘Grand Global’ awards at the New York Festivals celebrating the world’s best healthcare advertising. He was also on the jury for the first ever Cannes Lions Health ‘Pharma’ and Chairman of Judges at Clio Healthcare. Beyond his family and helping to build McCann Health, Hugh also finds time to write about food, travel and golf. Over 20 years of experience as a copywriter, creative director, CCO and CEO, leading communication projects for major health & wellness brands in Brazil and LATAM. 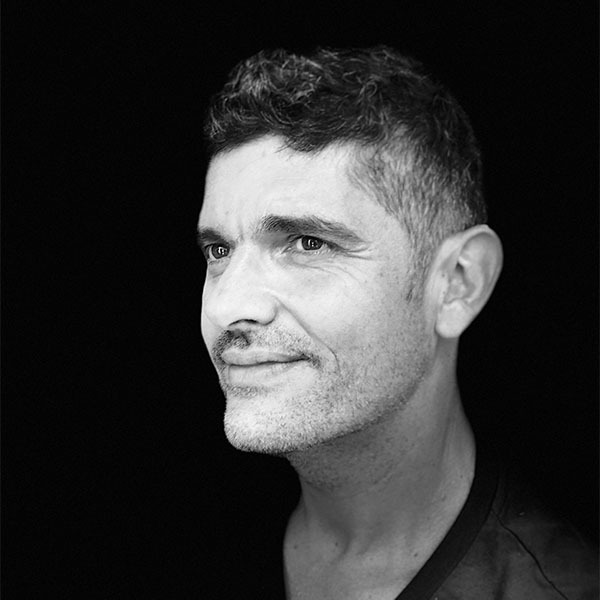 Following a solid experience in Rx, OTC and consumer brands while running his own creative boutique, Mauro joined Havas Health in 2008 to co-found the Havas Life LATAM hub, where he acted as Managing Director and CCO until 2018 – when he left to launch and co-lead the new FCB Health office in Brazil. Among his creative recognitions are Cannes Lions, CLIO Health, LIAA, Epica and The One Show in areas such as mobile, digital, music and audio technique. Mauro was part of the inaugural Pharma jury at Cannes Lions Health in 2014 and a speaker at the 2016 edition. He has also been a jury member at the CLIO and MM&M awards. During her 14 years at The Bloc, Stephanie was a continual driver of the company’s creative vision, fostering innovative ideas and industry firsts. Charged with reigniting the organization her team raised the bar, becoming the most-awarded health and wellness agency in the nation for 3 years straight, recognized by Advertising Health as one of the world’s best, and bringing home Agency of the Year awards in 2015 and 2016. Stephanie served as chair of the creative council for the Bloc Partners global network, instilling a collaborative approach to the development of global brands, and was the Editor in Chief of IF, a global thought leadership publication representing different voices from different countries and different fields to offer a diverse perspective on today’s health and wellness environment. She is recognized as an exceptional creative mentor, galvanizing teams to pull together and push for results. 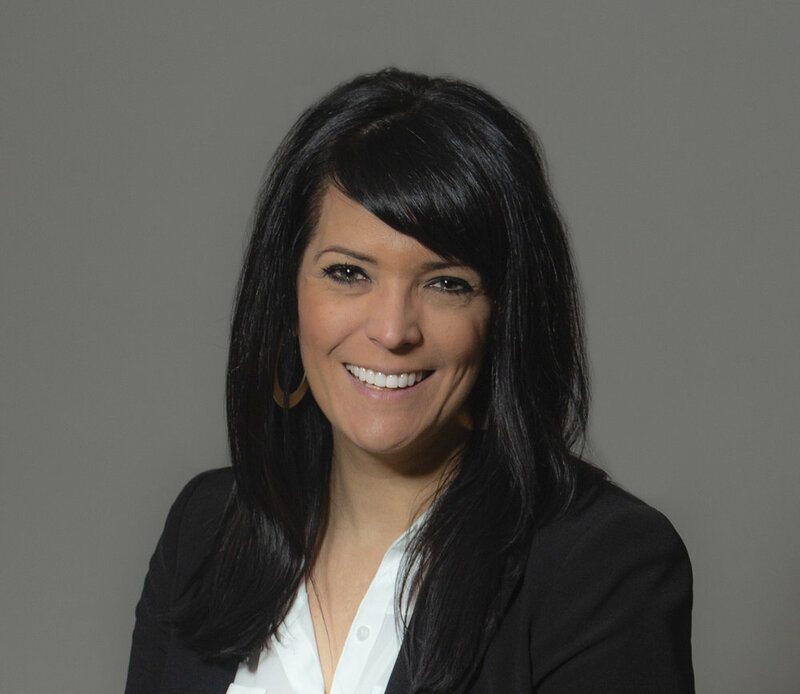 Stephanie has created and directed award-winning work across multiple countries, multiple customers, and multiple channels, and brings experience from a variety of diverse sectors, including financial services, technology, leisure, energy, and nonprofit. 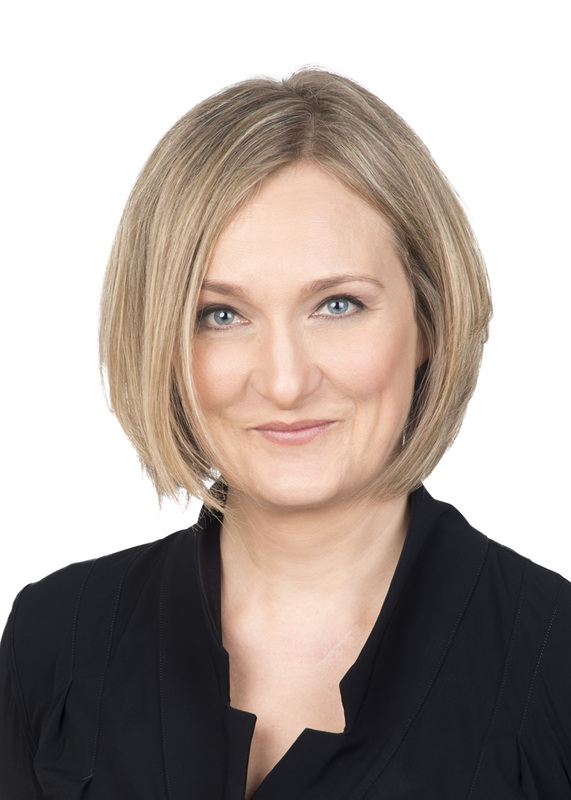 She frequently serves on awards juries, most recently for Lions Health, The One Show, and Clio Health. Stephanie began her career in the United Kingdom and recently celebrated two decades in the US. Cherie’s creative career spans over 15 years, and has seen her work at a host of companies that contain the letter “S”, including Saatchi & Saatchi, Saatchi Wellness, Sudler & Hennessey Sydney, Sudler & Hennessey International, Milan before joining greyhealth, Australia only to return to Sudler & Hennessey, Sydney as Creative director. This has afforded her a host of invaluable experience across some of the biggest brands in healthcare, including Pfizer, GSK, Roche and Bayer. With her award-winning advertising being recognised both locally and internationally at Clio Health, One Show, Creative Floor and New York Festivals Global Awards. Cherie prides herself on creating work that is grounded in strong strategic thinking, with enduring human truths that emotionally connect audiences to her clients’ brands. Her passion for creative bravery and craft is what gets her up in the mornings… that, and coffee. Lots and lots of coffee. Bold & simple ideas that transform people’s lives are my passion. Whether it’s helping launch the worlds first 100% electric car or launching the ground breaking Flash glucose monitoring system ‘Freestyle Libre’ for Abbott diabetes care, I’m determined to ensure they inspire engagement and take up. Solving problems from an unconventional perspective is another. The last 4 years has seen me building a successful creative strategy consultancy; challenging conventional thinking and established processes to deliver a very different client/agency dynamic - bridging the gap between management consultants and marketing services. But (and it’s a big but) the lure of ‘disruption’ and it’s proven ability to truly impact lives through the world’s leading brands is too big an opportunity to miss. So I sold up and I'm back at TBWA\. I’m very excited to be part of TBWA\Worldhealth. Be bold. Kathy Delaney is Global Chief Creative Officer, Publicis Health, based at Saatchi & Saatchi Wellness, NY. She uses her bold creative vision to tell compelling human-centric stories that promote health and wellness while creating strong results for the agency’s clients. She previously spent 12 years at Deutsch New York, where she helped to grow the company from a small boutique agency into an integrated marketing powerhouse. Kathy’s passion for creating and overseeing integrated campaigns that outperform business objectives has influenced clients across the wellness, fashion, fitness, and beauty industries. IKEA, Tommy Hilfiger, J&J, Revlon, Reebok, Pfizer, Novartis, Starwood Hotels, ConAgra, Kraft, and Unilever are a few of the clients her work has positively impacted. In 2014, Kathy served as President of the Health & Wellness Jury at the inaugural Cannes Lions Health, ushering in a new era of recognition for creativity in health and wellness communications. Named one of “The Most Creative Women in Advertising” by Business Insider, her work has been recognized by Clios, One Show, Effies, Graphis, MM&M’s, Communication Arts, W3s, Art Directors Club, Andys, and Cannes Lions. In 2018, Kathy was inducted into the MM&M Hall of Femme and named an HBA Luminary. In addition to driving award-winning work for the client roster of Publicis Health, Kathy invests her time and creativity into projects for charities such as Crossroads Community Services, a New York organization that provides food and shelter to the homeless and The Coalition to Stop Gun Violence. She has also worked on an initiative to educate the local women of Ghana about birth control and has contributed her time and effort to a project in Somalia for the UN World Food Programme. Sam Dolin is the Chief Creative Officer for Ogilvy CommonHealth, North America. She is a passionate leader with a commitment to impactful, innovative, and purpose-led work. Sam comes from an extensive pharmaceutical marketing background acquired over the course of her award-winning career, which is rooted in the broader health and wellness and consumer arenas. A vibrant, versatile professional who believes that deep insight and strategic foundation are critical success factors to any creative endeavor, Sam recognizes the power of communication and inspiration to change people’s lives for the better. Among her many industry accolades, Ms. Dolin was named by PM360 as part of the 2017 Brand Team of the Year and has been acknowledged multiple times by DTC National for her award-winning work in a variety of categories. Her brand experience spans a great many therapeutic areas including cardiovascular, infectious disease, diabetes, and vaccines, among many others. Renata oversees all creative output on the business from an art direction and copywriting standpoint. With over 20 years of experience across many of the world’s biggest and best brands, including Procter & Gamble, Unilever, Nestlé, Ambev-Inbev, Sanofi-Aventis, Johnson & Johnson, IBM, HP among others. Renata has worked all over the globe—in Brazil, the UK, Italy, Spain and the US. During her tenure with blue-chip companies and brands, and her travels around the world, she has collected many of the top creative awards—including 17 Cannes Lions, among them a Gold Lion for Pharma (Oral Care). In 2017 her campaign for Kiwi Shoe Care “Portraits Completed” was awarded with 5 Cannes Lions and 13 Clios, as well as appointed by one of the best Creative of 2017 by Adweek. Its technological approach, mixing craft and data, lead it to be amongst the most awarded campaigns of the world according to the Drum Report 2017. More importantly, her work has achieved business results for her clients (including her successful stint as a sales representative at a call center for her Movistar client). These business results are confirmed by her Effies—including one for her work with the Ad Council of North America, involving a coalition of more than 35 leading dental groups that joined with the organization to launch the first campaign on children’s oral healthcare in the US. Renata is the daughter of an Italian father and a Brazilian mother. She holds Brazilian and Italian passports, as well as a US Green Card. She speaks English, Portuguese, Spanish and Italian fluently, has basic French and German skills and is currently (dreaming of) learning Mandarin. Last but not least, she is a family person—married, and the mother of two children and a Labrador. Elizabeth is a creative innovator and entrepreneur with a relentless focus on what’s next in health and wellness. In line with this mindset, she recently launched a new healthcare-focused marketing consultancy, FastTwitch Group. Throughout her career, Elizabeth has built award-winning teams and transformed agencies. Most recently spending a decade as Partner, CCO of The Bloc driving world-class creativity and innovation for the company. She founded and developed several industry-first customer experiences and platforms that have been recognized around the world. Elizabeth is a thought leader writing about innovation in the health and wellness sphere for Advertising Health, Clios.com, DTC Perspectives, MediaPost, Medicine Avenue, MM&M, PharmaVOICE, PM360, Protoypr and about happiness for Coca-Cola Journey. Elizabeth is the founder of HealthWellNext, an insights and innovation blog, and magazine for the healthcare industry. She has also hosted Cannes Lions Health panels in 2017 and 2015, and experiential events during Internet Week New York in 2011, 2012, 2013 & 2014. She serves as the 2018 Global Awards Chairwoman and previously has served in 2017 as the Global Awards Co-Chair, 2016 Clio Health Chair, executive jury member for The Creative Floor Awards and the inaugural Cannes Lions Health in 2014. Carolyn recently joined W2O Group as Sr. Group Creative Director responsible for leading the creative teams at their San Francisco office. She is a hands-on health and wellness creative, previously working in New York City with the talented minds at Area 23, Saatchi & Saatchi Wellness, and Deutsch. 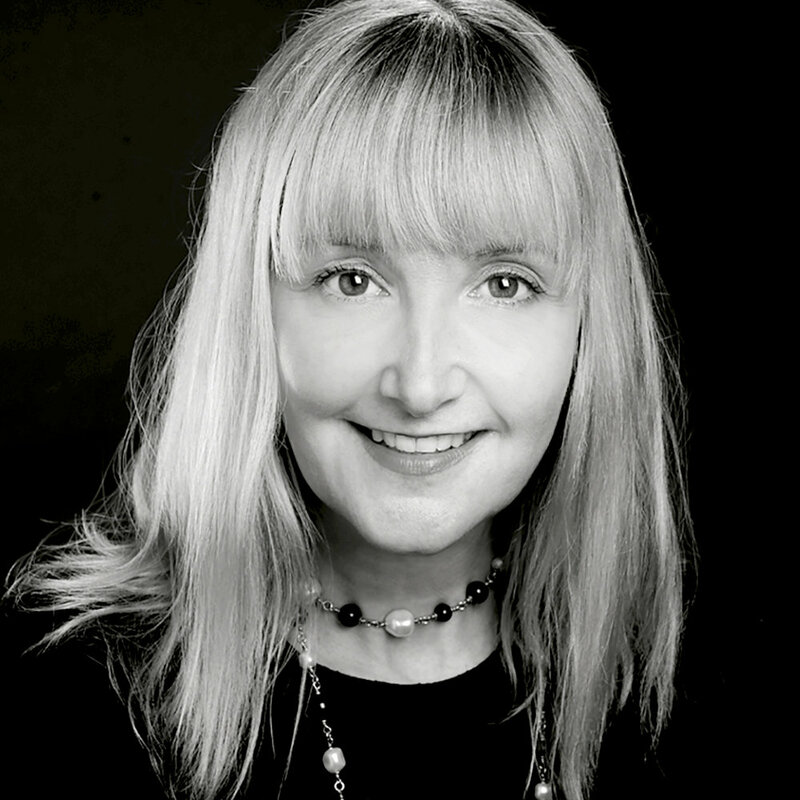 With 18 years of experience in the health and wellness space, Carolyn has produced unbranded, branded, and corporate campaigns for Abbvie, Acorda Therapeutics, Allergan, AstraZeneca, Bayer, Boehringer Ingelheim, Chattem, Gilead Sciences, Janssen Pharmaceuticals, Novo Nordisk, Merck, Nestlé Health Science, Novartis, and Pfizer. She is drawn to social purpose projects in gun violence, hunger, homelessness, and suicide. In 2017, she served on the Cannes Lions Health RB & Innovation Hackathon Jury to reduce air pollution, and was moved by the incredible creatives that came together for global good. Carolyn also served on the Health & Wellness Jury at Cannes Lions Health in 2017, and has been awarded with a number of honors in the advertising, and design industry. June is one of the most respected leaders in healthcare communications. She was promoted to Chief Creative Officer New York at the beginning of 2018 after serving a regional role as ECD over Australia and SE Asia. She joined McCann Health Sydney in 2010, and her Sydney agency was continually recognised as the most awarded healthcare agenices in APAC. She is consistently a star performer within the network. June is known for nurturing both people and impactful work. June has won Gold at Lions Health and Spikes, as well as being multi-awarded at the Globals, Clio Health, One Show, IPA awards, Campaign AOY, and Creative Floor. June was president of Cannes Health pharma jury in 2017, after previously chairing the inaugural Spikes Asia award show, and Clio Health. She has also had a long association with the Global awards, having initiated Bravo! – the Global Awards ceremony in APAC, which was consequently replicated in New York. June has also consistently served on the Executive jury in New York. She is known for bringing passion, integrity, and love into every jury room she enters. June believes that significant advances in technology and creative thinking make this an exceptional time to work in health. She loves that every day brings the opportunity to positively impact lives. She passionately believes in the life-changing power of positive thinking and feels blessed that, in her role, she continually learns about the strength of the human spirit. Is Area 23 the most award-winning health agency in the world? After winning 9 lions, Cannes Health Agency of the Year, Global Awards Agency of the Year, Med ad News and MM&M Agency of the Year, 15 Clios and a D&AD White Pencil. I don’t think there is any sane person that would disagree with that claim. And with Tim Hawkey at the helm, driving his teams to break all the rules of health advertising, it’s fair to say that the best is yet to come. Elliot is only happy when he is uncomfortable. Which is why he challenges himself to deliver work that others might consider impossible in healthcare. A high bar—but perhaps the only one worth setting. 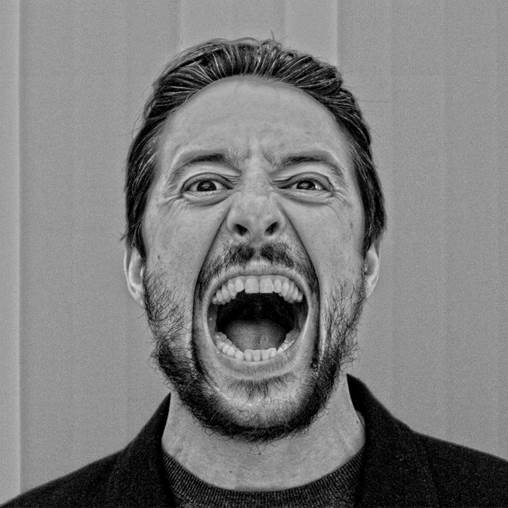 With this driving ambition, his work has been recognized by many industry groups including Cannes Lions Health, Effie, Clio, MM&M, The Manny’s, The Creative Floor, IPA Best of Health, and, appropriately, the Global Awards. But rather than be satisfied with this success, Elliot approaches every day with a club, out for inspiration. Carolyn joined Centron in 2017, seizing the opportunity to co-create an independent agency offering that cuts through complexity and finds “the simplest path to the highest good” for clients, brands, and the communities they serve. Today, Carolyn heads a department of industry-leading talent committed to creating work that is exceptional in its simplicity, measurable in impact, and meaningful in the connections it creates. Carolyn was formerly Executive Creative Director at CDM NY, where she shaped the agency vision in rare diseases, expanded its biotech footprint, and led the two most significant launches of recent years: a therapy for SMA, the #1 genetic killer of infants and children, and a gene therapy for inherited retinal disorders. Carolyn is a recognized mentor to women in advertising. She is known for industry-defining and award-winning work, and has become a magnet for talent that shares her sense of purpose. Carolyn has served as an Executive Juror for Lions Health and Clio Health, and participated in the Save the Children/RB innovation hack at Lions Health in 2016. In 2011, she received the Healthcare Businesswomen’s Association Rising Star award. Debra is the Executive Creative Director for CDM US. She is responsible for the creative output, the creative reputation and the creative human beings in both the New York office and the Princeton office. This is a newly created role that Debra has just occupied beginning mid March. CDM is a Healthcare advertising agency whose clients range from small biotech companies curing blindness with gene therapy, to big blue chip companies taking on the diabetes epidemic. When Debra is not changing lives through creativity she can be found in the West Village of NYC where she lives with her husband in blissful empty-nesthood. Movie binging, gallery haunting and restaurant sampling are among her outside activities. Gustavo has always been on the quest for innovation, creativity and to challenge the status quo of pharma advertising. His story is very rich and solid in both the creative and strategic environments. He started his career in advertising at BBDO where he worked on the Pepsi, Gamesa, and FedEx accounts. After that, he joined Ammirati Puris Lintas and was in charge of accounts like GE, Nestlé chocolates, Tetra Pak, and Bayer. Later he was promoted to Associate Creative Director for Bancomer, Sonrics candy, Janssen-Cilag, Volkswagen and McDonald’s. At Saatchi & Saatchi, he launched SKY Satellite TV in Mexico. Finally, he reached Young & Rubicam as Creative Director for AT&T and AT&T Latin America, Danone & Phillip Morris. Then he ventured as a partner in CMV Advertising (small creative boutique that later turned into a full agency) where he worked for Bally Total Fitness Gyms, Starbucks, Royal & SunAlliance, Reebok, Xerox and Pfizer. There a relationship started with GSW to handle the Lilly accounts for Diabetes and CNS, which earned the agency recognition in the marketplace and set them on the course for becoming a full healthcare advertising agency. After participating in Global Creative Exercises for GSW, Gustavo started to work for them in the US as the Vice President International Creative Director, responsible for the “Global Creative Waves” and also acting as the international link with the International agencies. He was responsable for the Global Diabetes Franchise Campaign for Lilly, Bydureon and also part of the team who developed the Zyprexa and Relprevv global campaigns. Then he was selected to lead the new GSW agency in Mexico as General Manager, leading the agency from 4 accounts to more than 30 brands in a year. After GSW, Gustavo joined the Sudler&Hennessey team as Managing Director and lead the agency into new creative territory, allowing to be recognized within the network and establish a powerful creative bond. Just like many entrepreneurs in the industry have done before him, Gustavo opened his own agency: Asterisco Healthcare Communications, focusing on innovation as their defining point to do this change. After 6 years and a great reception from international and local clients, Asterisco has worked with Merck Germany for Global Campaigns, Janssen Pharmaceuticals, J&J, Mead Johnson, Astra Zeneca, Sanofi, Lundbeck, Stendhal, Liomont, Alexion and Roche. He has been a jury at Cannes Lions and for the Global Awards and wrote multiple articles witin the pharma industry around the world. The roots of Mike’s career go back to his school days. Blessed with disastrous marks in natural sciences he discovered his outstanding talent for music and arts. Mike decided against a career as a Rockstar in favour of arts and went on to study graphics, film and photography at the Blackpool College of Arts and Technology in the north of England. After an excellent graduation Mike started his career as a young creative at Avon Cosmetics in Londons Knightsbridge. After six years he moved with the company to their base in Munich. He later left Avon to join the Serviceplan Group after a short interlude at Young & Rubicam in Vienna. At Serviceplan he witnessed the incredible growth of the group from 150 to currently over 3800 employees worldwide. During this time he used his experience in the healthcare sector to help build up the specialist company Serviceplan Health & Life. He has been Managing Director and Creative Partner for over 20 years. Mike has a wide range of experience in healthcare communication – especially in the area of TV commercials for top OTC brands. Over the years he has won many awards in global and local festivals e.g. Cannes, Clio, Crystal Festival, D&AD, Eurobest, Globals, New York Festival, GWA-Effie RX Club, and the leading German Healthcare Award Comprix. 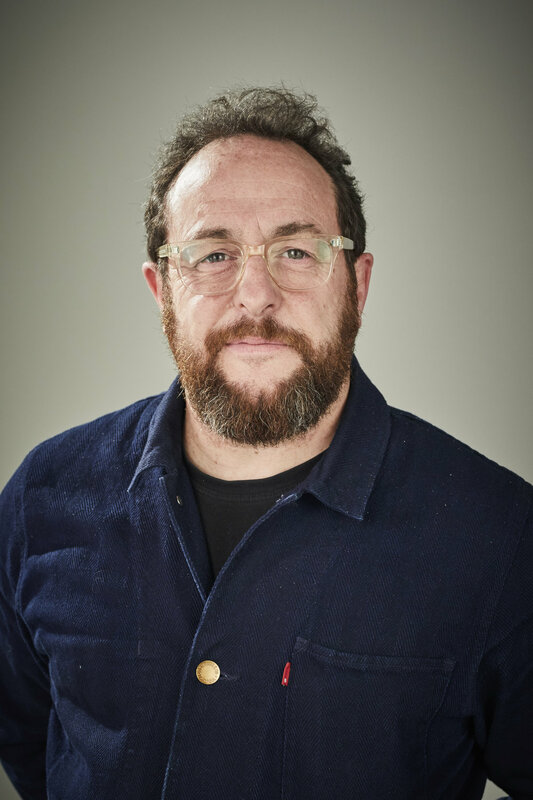 Over the years Mike has also been very active as a Jury Member at leading Festivals e.g Lions Health, Clio Health, The Globals, Eurobest and at the German Comprix Award where for several years he has been Jury Chairman OTC. In 2017 he was Jury President Health & Wellness at Lions Health in Cannes. 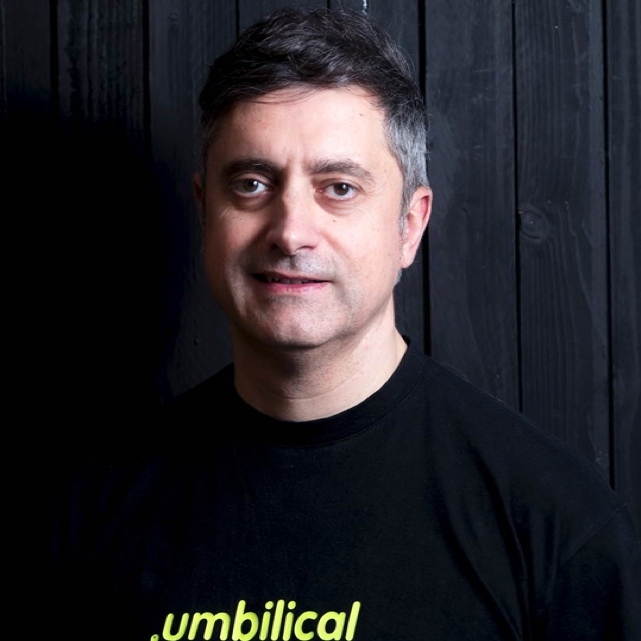 Xavier Sánchez is the founder and CEO of Umbilical and Amniotic.tv, founding partner of the The Bloc Partners network and also member of its Global Creative Council. He has been working on healthcare communications over the last 20 years for prestigious accounts such as Novartis, Sanofi, BMS, Boehringer Ingelheim, GSK, Leo Pharma, Merck, UCB, Ferrer, Alcon, Bayer, Chiesi, Almirall or Nestlé. Before becoming independent and found Umbilical, he developed his work as Creative Executive Director at OgilvyOne and OgilvyHealthcare, Torre Lazur McCann and Adding Targis (now CDM). He was also former Partner and Creative Director at Pavlov. His work has been honoured at both national and international competitions such as The Global Awards, Rx Club Awards, Best of Health Awards, Indigenius Awards and Aspid Awards. Xavier Sánchez has been the first Spanish Creative Director to be selected as a Jury member at the Cannes Lions Health Festival and was also the first from the country to be a member of the Executive Jury of The Global Awards and Executive Jury of Clio Healthcare Awards. Former President of the Aspid Awards edition, he also has been an international jury in the RxClub Awards, Indigenus Awards or Lisbon Health Awards. He is board member of PMFarma Magazine and author of "Handbook of Pharmaceutical Advertising. More than 2000 slogans, headlines and advertising slogans in the healthcare marketing campaigns" and co-author of “Marketing Farmacéutico”. He is currently Professor of Brand Communication, Corporative Communication and Creative Skills at ESIC Business School and Associate Professor at EADA Business School. And, overall, Xavi, strongly believes that positive thinking and joy are, and will be, the engine that will move the world forward.